Important Special Note About This Listing The Swift Creek Condos are to be booked as a whole. Rates posted are based upon a per bedroom nightly rate. All 12 units are brand new and bedroom configurations can be customized upon request. Ideal for large corporate or organization usage over the 2010 Games. Rentals can begin in November and finish at the end of March. Please ask one of our agents for more detailed condo layouts and the brochure about the Swift Creek Condos. 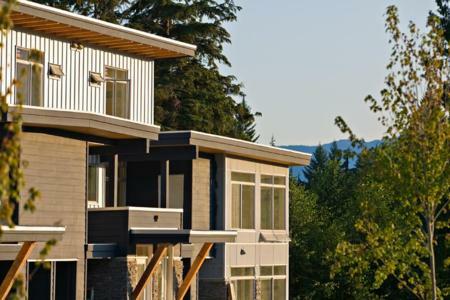 Swift Creek is a brand new, 12-unit town home building located in Squamish on the forested grounds of Quest University. This building is available to lease for the Olympics as of September 2009. As it is a brand new construction there is an opportunity to furnish it to meet your needs and it will comfortably house 70-100 staff. The units are a mix of 2 and 3 bedrooms, with ample secure, underground parking and storage. This opportunity is best suited to one large company wishing lease the entire building for an extended period including the Olympics. Additional amenities are available at the University including a 3000 square foot meeting space and a cafeteria style restaurant, should your company require. 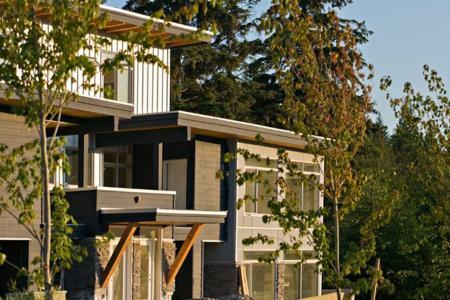 These homes are designed for high-occupancy. There are two styles of unit. The first is a 2 bedroom units which features two full bathrooms and a powder room. The other unit is a 3 bedroom units which has 3 full bathrooms and a powder room. Each unit contains a kitchen which includes a fridge, stove, dishwasher and microwave. Each unit also is conveniently equipped with laundry facilities. Style and comfort have been kept in mind when planning the units. The living rooms are spacious with lots of natural light and large windows. The large windows offer guests fabulous views to mountains, river and the forest. The flooring is laminate for a clean environment and ease for cleaning. There are 23 parking stalls in the secure underground parkade. 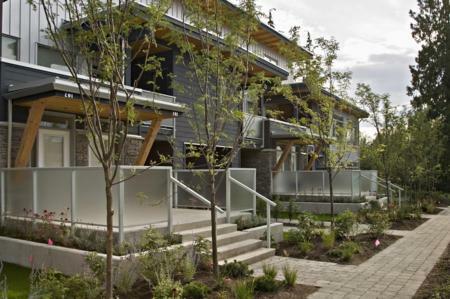 The complex is strategically located between Vancouver and Whistler. Squamish is an easy and scenic 45 minute drive to either location.